It is not uncommon for people to derail their healthy eat habits during the holiday season. Normally paying the price doesn’t come until trying to squeeze into your favorite pair of jeans in January. But the truth of the matter is there is no reason you can’t indulge in yummy foods with friends and family around the holidays. The trick is to make smarter choices with healthier options. 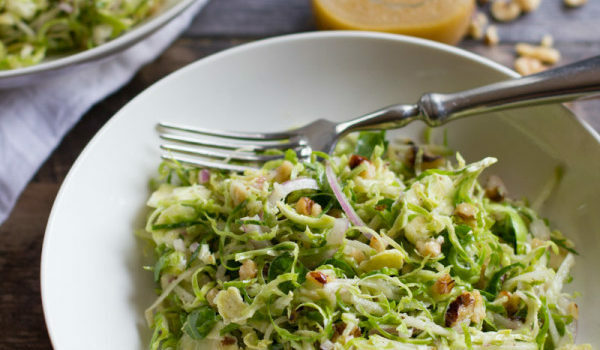 This salad makes the perfect addition to any holiday feast and is sure to satisfy. 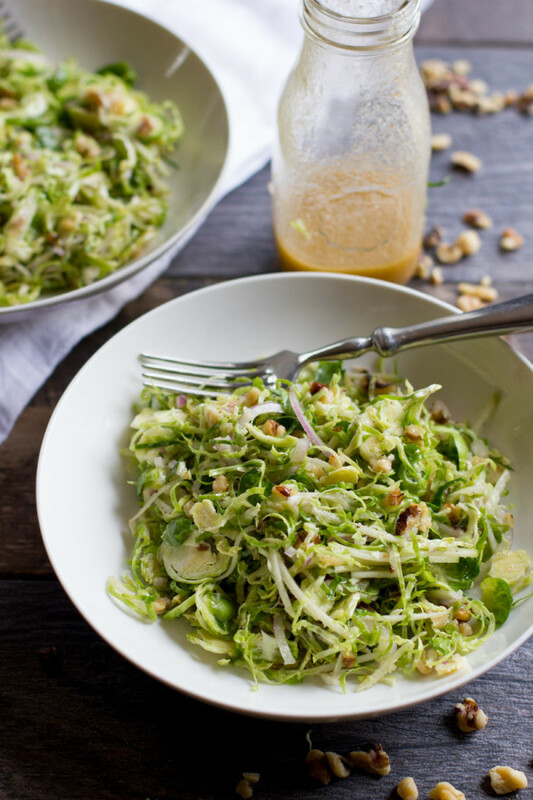 Brussels sprouts are a green leafy vegetable and are a good source of vitamins C and K that often leave you feeling full. They also contain antioxidants that can help fight inflammation. Toss all ingredients together in a bowl. Whisk together vinaigrette ingredients in a separate bowl. 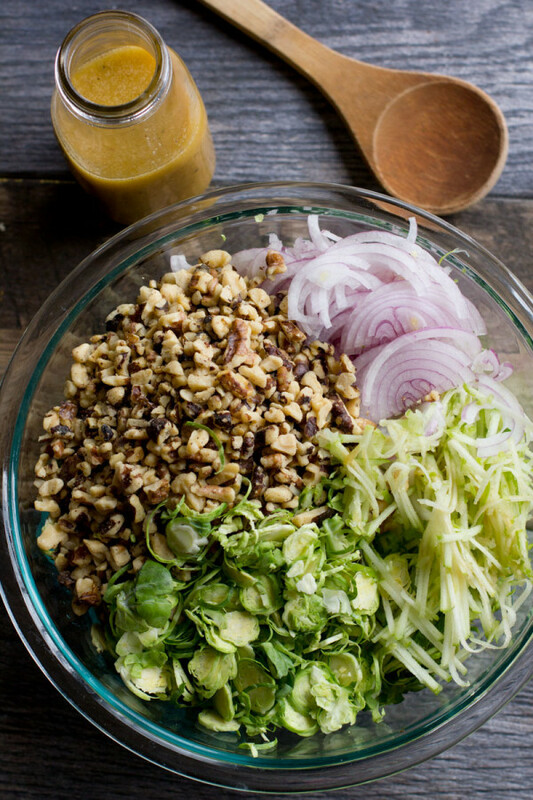 Drizzle ¼ cup dressing over the salad (or more if desired). Chill in the refrigerator for at least 30 minutes before serving. 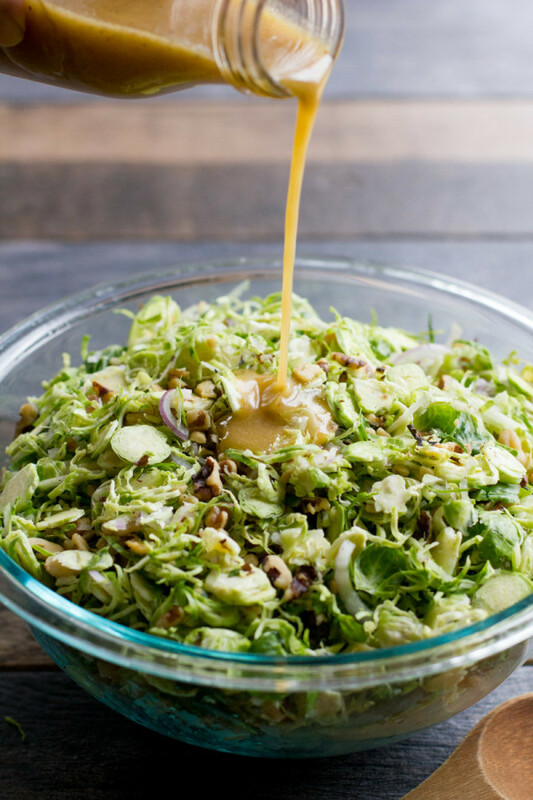 *If raw Brussels sprouts do not sound appealing, you may also buy raw Brussels sprouts whole, trim the stems and quarter, then sauté in a frying pan over medium-high heat with 1 Tbsp olive oil for ~10 minutes until browned on all sides.